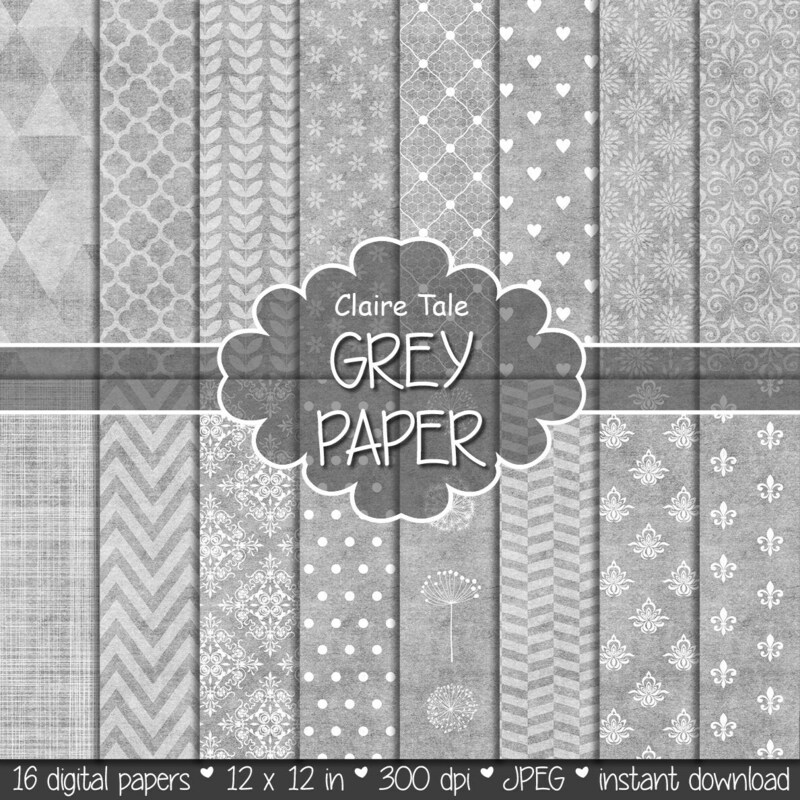 16 grey digital papers: "GREY PAPER" with triangles, damask, lace, polka dots, chevrons, crosshatch, quatrefoil on vintage grey background. Perfect for scrapbooking, wedding, invitations, announcements, anniversaries, birthdays, party themes, stationary and paper crafts. Ready for immediate print and digital use. lovely designs. very happy with my purchase and will buy from shop again.